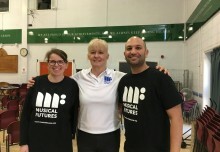 After 10 years of involvement with Musical Futures, I am proud to be stepping into my new role as Chair of the organisation. Discovering Lucy Green’s book ‘How Popular Musicians Learn’ as a PGCE student in 2007 led me onto the work of Musical Futures. I went on to attend training led by Abigail D’Amore and Fran Hannan and I instantly knew that this approach was one that could address some of my concerns about exactly what classroom music lessons were about and could provide a solution to the low levels of engagement I had seen in classrooms during my teaching placements. At the heart of MF is the belief that classroom music lessons should engage all students in authentic, hands-on musical learning. It is this ethos that has shaped my philosophy of education and as a teacher and leader it has had a significant impact on the way I have developed teaching and learning in my role of Director of Creative Learning at Fred Longworth High School in Wigan. 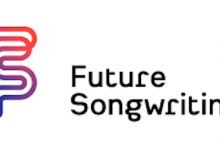 Musical Futures is sometimes perceived as a scheme of work for pop/rock music, which it isn’t. It is, however, an approach that puts the students interests at the forefront, engages them in real-life music making with real instruments and takes an approach that develops knowledge as the result of the practical experience of music making. This pedagogical approach has had a fundamental impact on the quality of teaching and learning in music and beyond in my school. When I am asked what impact MF has had in my school, I often refer to this very poor quality video recorded one Wednesday morning around 18 months ago. It was one of those thankfully rare mornings when 2 members of the department were off sick. Around 10 minutes into the first lesson of the day, I decided I’d better go into the year 9 lesson next door to make sure the students weren’t climbing the walls. Instead, what I saw was a room full of students making music, with a student at the front leading the ensemble. As you will see from the video, they were learning Greig’s Hall Of The Mountain King, from the excellent BBC Ten Pieces project. What made this even more impressive was that for some reason, the cover supervisor hadn’t turned up and the whole lesson had been organised by the students – hence the reason I decided to video the class. It’s easy to think that the class is full of instrumentalists, but look closely at the video, and you will see a full range of musical ability, from students playing single melody lines on keyboard, to those playing simple ukulele parts to grade five brass musicians. That we are able to foster such a high level of independence, engagement and genuine love of music is purely down to our wholesale adoption of Musical Futures pedagogies throughout all of our teaching and, of course, the excellent classroom practice of their teacher Lucy Dalton. As we are well aware, music education at primary and secondary level is at risk and seems to be disappearing from some schools. The current Ebacc centric curriculum combined with budget pressures means that many schools are simply making the decision to cut creative subjects. Over the past few months we have seen many articles written lamenting this demise in creative education, most of which offer a passionate defence of music education. However, I feel that if we are going to get anywhere, we need to change the conversation from one of defence to one of celebration. We need to focus on the excellent practice happening in schools and the impact that this is having on students and their lives. The team at Musical Futures are in the fortunate position of being able to hear about and see this excellent practice first hand. Whether it’s the excellent work and ethos of Matt Keil in his new role as Head of Department at Morpeth High School, or the 130 strong school choir I heard about last week led by James Manwaring at Windsor School, or Luke Peak, from Chaffey Secondary College in Australia who recently became a finalist in the Victorian education excellence awards, and was inspired by the excellent MF Australia team. The important thing about all of these examples are that it is the output of the students that speaks for itself – no-one can fail to be moved and impressed by watching the young people performing, or by hearing how music in school has changed their lives. It is this very human sense of achievement and appreciation that we must capitalise on in order to ‘defend’ our corner as creative educators. We are immensely proud of our recent selection by HundrED as one of the one of the 100 most important global innovations in education, which not only reflects the extremely hard work of our current Director Fran Hannan, and the excellent work of Abigail D’Amore and many others involved with Musical Futures over the years, but also every single teacher who has taken Musical Futures ideas and applied them to their teaching in a bid to engage their children in making music. So, as we say thank you to Anita Kerwyn-Nye for her 3 year tenure as Chair, we look forward to the future by making sure that we do our part to change the conversation to one of celebration and positivity, by engaging with more teachers in the UK and beyond in order to ensure that the support and challenge we offer teachers gets more young people involved in Music. We have some exciting new developments in the pipeline, which include expanding our training offer to include sessions on the leadership of music and other creative subjects in schools and also training around the RSL Music Practitioners suite of qualifications, which provide a perfect transition for students who have thrived through the informal learning approaches at key stage three. We are also currently developing fresh approaches with champion teachers that provide new ways to engage students in classrooms through building on their musical interests. Watch this space……!